I was recently asked as a Buffalo DWI Lawyer what could happen if you were arrested for DWI and had a prior conviction. If you have had a prior Driving While Intoxicated conviction in the last 10 years you will be given a felony. If you have had a prior Driving while impaired conviction in the last five years, then the penalties are increased. 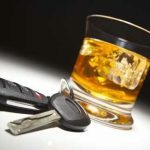 If you have had three driving while impaired convictions in 10 years, what is normally a noncriminal infraction, it is changed to a misdemeanor conviction. I advise clients that 2 driving while intoxicated convictions in 10 years is a felony, three driving while impaired convictions in 10 years is a misdemeanor. If you have been arrested for DWI with prior convictions on your record within the last 10 years, contact our experienced Buffalo DWI Lawyers to be your ticket to justice!